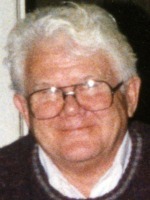 Paul J. Flynn of Kalamazoo, MI passed away Sunday, January 24, 2010 at his home. Mr. Flynn was born September 7, 1924 in Watson, MI the son of Matthew and Catherine (MacDonald) Flynn. Paul served his country in the Navy during WWII in the Pacific. He had worked at Mead Paper Company in Kalamazoo, retiring in 1986 and was a Friend of Bill’s for 53 years. On May 23 1990 in Bay City he married his wife, Carol who survives. Also surviving are 2 children, Kathy (George) Richardson of Plainwell and Joe (Dorothy) Flynn of Knoxville, TN; his step-children, Kathy (Chris) Miller of Gobles, Leigh (Mike) Holtz of Gun Lake, Sandy Hale of Chicago and Guy Hale of Portage; his grandchildren, Katie Cough, Lauren and Brittany Duchesneau, Hailey, Jake and Justin Holtz, Josh Hale and Colten Palmer. In accordance with his wishes, cremation has taken place. A Memorial Mass will be held Wednesday, January 27, 2010 at 11:00 AM at St. Margaret’s Church, Otsego, Rev. Fr. Donald Klingler Celebrant. Those desiring may make memorial contributions to Hospice of Southwest MI, St. Margaret’s School or to Friend of Bill’s. 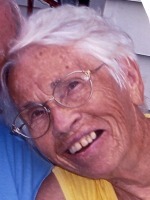 Mildred Pinks of Delton, MI went to be with her Lord Sunday, January 24, 2010 in Kalamazoo. Mildred was born November 13, 1924 in Salyersville, Kentucky the daughter of Sherdan and Rebecca (Fletcher) Marshall. She loved baking and gardening, both vegetable and her very beautiful flowers. She was able to enjoy working in her gardens this past season. In 1941 she married Wallace Pinks, Sr. who preceded her in death. She is survived by seven sons and three daughters, 26 grandchildren, 56 great-grandchildren, three sisters, one brother and many nieces and nephews. Besides her husband, Mildred was preceded in death by two sons and two grandchildren. A funeral service will be held Wednesday, January 27, at 2:00 PM at the Winkel Funeral Home Otsego, MI, Pastor Kevin Smith officiating. Interment will be at OakhillCemetery, Orangeville, MI. Those desiring may make memorial contributions to Susan B. Komen Breast Cancer Foundation or to St. Jude’s Children’s Hospital. Sharon ‘Sherry’ Councell, Otsego, Michigan passed away Saturday, January 23, 2010 in Kalamazo. Sherry was born June 11, 1942 in Kalamazoo to Ronald and Katherine (Moody) Remmington. Sherry was an OtsegoHigh School graduate, had worked at Prairiewood Golf Course and 8 years at Walmart. She was a life member of the Ladies Auxiliary Post #3030 and a member of the Otsego Moose. She was an avid golfer and enjoyed playing cards and bingo. On November 14, 1964 in Dowagiac she married Russ Councell who survives. Also surviving is a daughter, Cheri (Gregg) Myers; 3 grandchildren, Joshua, who is serving with the Marine Corps in Okinawa, Japan, Shelby and Jessica; Uncle Bill (Beverly) Remmington; special nieces and nephews, Bill (Geraldine) Eckler, Mike (Veronica) Eckler, Rhonda (Kal) Lovett, Soni (Brad) Harman. She was preceded in death by her parents and a sister, Sandra Eckler. Friends may meet the family Friday at 12 Noon at the Otsego V.F.W. for a memorial service. In lieu of flowers, memorial donations may be made to Hospice of S.W. Michigan. Zachary Michael “Mo” Joslin of Otsego, MI passed away unexpectedly Thursday, January 21, 2010. Zac was born October 14, 1991 the son of Charles V. Joslin and Jennifer L. Scheerenberg Kemp. He is survived by his mother, Jennifer Kemp; his sisters, Jamie Kemp, Ashley Kemp and Alexandra Terry and “Papa” Al Terry; grandmothers, Dayna Scheerenberg and Charlotte Joslin; grandfather, Dirk Scheerenberg, great-grandmother, Kit Smith; many aunts, uncles, cousins, friends, Brittany, Billy, Miguel, Megan, Jesse and Tig, as well as many other friends and family. Zac was preceded in death by his father, Charles V. Joslin in 1997. Mo’s bright light has gone out but our love for him will never be extinguished. Friends may meet with the family Tuesday from 3-5 and from 6–8 PM at the Winkel Funeral Home Otsego, MI where services will be held Wednesday at 11:00 AM, Elder John Lanphear officiating. Interment will follow at MountainHomeCemetery, Otsego. Everyone is invited to join the family for food and fellowship at the Otsego VFW Post 3030 following the committal service. Those desiring may make memorial contributions to Gryphon Place. where funeral services will be held at 1:00 P.M. Tuesday, Pastor Kevin Smith officiating. Cremation will follow. Contributions in memory of Shirley may be made to the American Red Cross, American Heart Association or Diabetes Association. 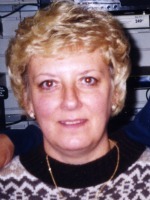 Wilma D.Czerwinski of Otsego, Michigan passed away Thursday, January 21, 2010, at her home. Mrs. Czerwinski was born March 7, 1917, in Fennville, Michigan, to Albert and Lois (McCarty) Sines. Wilma graduated from KalamazooBeautySchool and received certification in 1938. However, she went to work for Dr. Lewis Brown in Otsego and she remained in his employ for 30 years. She also assisted her husband, Ted, in his heating and cooling business for over 40 years. During her leisure time she enjoyed camping, sewing, reading, crocheting and painting. She was a member of St. Margaret’s Church. Wilma will be lovingly remembered by her family as a strong and feisty, loyal and loving, devoted pillar of strength; an amazing woman of pioneer spirit with a great sense of humor and incredible patience. On June 10, 1944 at St. Margaret’s Church in Otsego she married Ted Czerwinski and they renewed their vows at St. Margaret’s on their 50th anniversary. Surviving are her husband, Ted; nephew David Kivell and his wife Kelly, nieces, Catlyn Thomas, Valerie (Czerwinski) and her husband Mike Zinis; 5 great nieces and nephews; 4 great-great nieces and nephews; and a sister-in-law, Frances Derhammer. She was preceded in death by her parents and her brothers, Bill and Don Sines. The family will receive friends beginning at 11:00 A.M. Saturday at the Winkel Funeral Home, Otsego, where services will be held at 1:00 P.M., with Funeral Celebrant Bill Rose officiating. Burial will follow at Mountain Home Cemetery, Otsego. Contributions in memory of Wilma may be made to Wings of Hope Hospice. Stephen ‘Steve’ Livingston of Plainwell, Michigan, ssed away Tuesday, January 19, 2010, in Kalamazoo. Mr. Livingston was born October 31, 1925 in Martin to Clarence and Eva (Burt) Livingston and was a lifelong resident of the area. During WWII he served his country in the United States Navy and was a life member of the Disabled American Veterans. For several years he was employed with Allied Paper mill and then for 28 years he was employed with Consumers Energy, retiring in 1981. Steve was an avid softball player all of his life and had played as recently as last summer. He was a member of the Battle Creek Senior Team and had played on many men’s softball teams in the area. He had also been a Little League coach. He and his wife Shirley had lived at Pine Lake since building their house there in 1957. For 24 years they wintered in Florida. Steve enjoyed playing cards and bowling and was a member of the Senior Bowling League. He loved Sunday pot lucks, hunting and fishing. In 1945 Steve married the former Shirley Bushee, who survives. Also surviving are his daughter Deb (Steven) Taggett of Alamo; two grandsons, Keith (Tori) Taggett and their daughter Emma, Kevin Taggett and his girlfriend Neta Saldivar; two sisters, Wilma Slesdet of Plainwell and Beverly Wood of Colorado; many nieces and nephews. Preceding him in death were his parents; brothers, George, Arthur, Clarence, Harold, Lawrence and Howard; and sisters, June Rose Wason and Leah Jones. The family will receive friends from 4 to 8 P.M. Thursday at the Winkel Funeral Home, Otsego, where services will be held Friday at 11:00 A.M., Funeral Celebrant Bill Rose officiating. Military Honors at Hillside Cemetery, Plainwell, will be conducted by V.F.W. Post #3030. Contributions in memory of Steve may be made to the American Cancer Society or the American Diabetes Association. Teddy T. Navarre of Plainwell, MI passed away Friday, January 15, 2010 in Florida. Mr. Navarre was born July 23, 1919 in Toledo, Ohio to Bill and Mabel (Soncrant) Navarre. In 1939 he married Jane who preceded in death in 2002. He loved fishing and whittling. Surviving are his children, Margie Fields of WI, Joyce Conklin of FL, Dianne (Clovis) Reed of Martin, Mary (Jim) Hadley of Allegan, Sharron (Rob) Fincher of OH, Eva (Buddy) Sweat of FL, Teddy (Susan) Navarre of FL and Rose (Chad) Branch of Plainwell; many grandchildren and great-grandchildren. Also preceding him in death were his parents and a son Jerry. Friends may meet the family from 5 to 8 P.M. Tuesday at the Winkel Funeral Home, Otsego, where funeral services will be held at 11:00 A.M. Wednesday, with Tim Secord officiating. Burial will follow at Oakhill Cemetery, Orangeville with Military Honors by V.F.W. Post #3030. 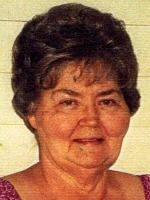 Nila J.Stratton of Portage, Michigan (formerly of Otsego) passed away Friday, January 15, 2010 at her home. Nila was born September 21, 1927, in Hopkins to Dan and Pearl (Morrison) Muche. For many years she operated the Snip-n-Stitch Shop in Otsego. Nila enjoyed reading the Bible, ministering to others and praying with them, writing poetry and crafting. On April 29, 1945 she married Merlin Stratton who preceded her in death in 1998. Also preceding her in death was her son, Daniel Stratton in 2005. She is survived by a daughter, Merlene (Don) Laughlin of Plainwell; 5 grandchildren, Donald Laughlin, Mindy Cook, Melissa Wood, Cassandra Pinks and Christina Jenkins; 11 great-grandchildren and a niece, Sharon Stratton. Friends may meet the family from 2 to 4 and 6 to 8 P.M. Monday at the Winkel Funeral Home Otsego, where funeral services will be held at 11:00 A.M. Tuesday, Pastor Kevin Smith officiating. Burial will follow at Mountain Home Cemetery, Otsego. Contributions in memory of Nila may be made to the 700 Club or Feed the Children. 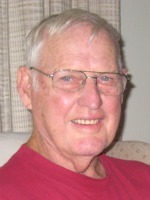 Charles F. Austin of Plainwell, MI passed away Wednesday, January 13, 2010, in Kalamazoo. Mr. Austin was born October 25, 1945 in Allegan to Joseph and Katherine (Richards) Austin and was a lifelong resident of the area. Charles began his working career farming and then worked at Barker & Sons Finishing in Otsego before moving to to InterKal, where he was employed for 27 years. In his leisure time he enjoyed hunting, fishing and camping and was known as “The Woodman”, cutting trees for many people in the area. He was a member and deacon at the New Apostolic Church in Otsego. In April of 1983 in Otsego he married Mary VanNess, who survives. Also surviving are a son and a daughter, Jeremiah Austin of Plainwell and Jennifer (Scott) Ganser of Indiana; a step-daughter, Tammy of Kentucky; 7 grandchildren; his siblings, Shirley Coville of Climax and Joseph Austin of Allegan; several nieces and nephews. Preceding him in death were his parents and a sister. Cremation has taken place. A memorial service will be held at 11:00 A.M. Saturday, January 23, 2010, at the New Apostolic Church in Otsego, with his priest, Dennis Smith, officiating. Contributions in memory of Charles may be made to the SPCA of Southwest Michigan, 219 Peekstock Rd., Kalamazoo, MI 49001.